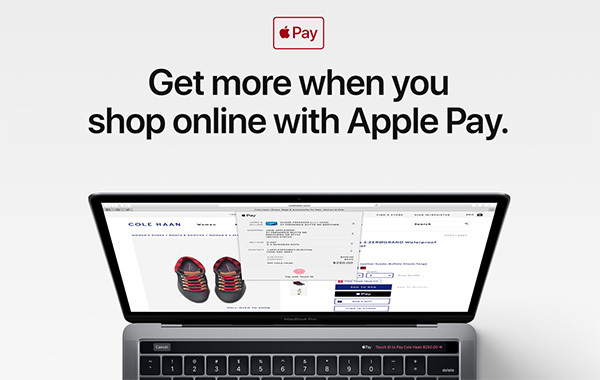 Apple has just announced a shopping promotion that should convince more people to use Apple Pay as a payment method, at least temporarily. The Cupertino-based company is offering a free $5 App Store and iTunes Gift Card when consumers purchase items at select online retailers and transact using Apple Pay. 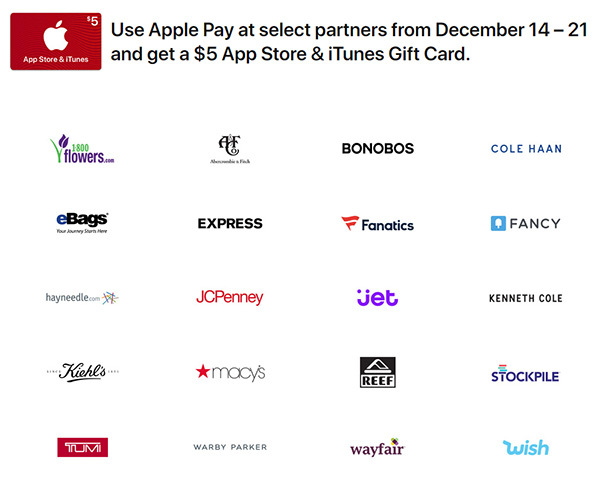 Running from December 14, 2017, through to December 21, 2017, the promotion will reward shoppers with a free-of-charge $5 iTunes gift card to purchase apps, in-app purchases, or content like music, movies, or TV shows through the iTunes Store. Apple is making this promotion available solely to customers shopping in the United States and it will only last for a period of seven days, or while stocks of the pre-allocated amount of gift cards last. Apple is also suggesting that the promotion is offering one card per retail partner, meaning it seems that consumers can benefit multiple times if they are planning on shopping at multiple locations. In order to qualify for the promotion, the purchaser will need to transact using a card associated with Apple Pay and actually use the Apple Pay protocol for the payment. This means that a qualifying card will need to be active in the native Wallet app and the card will needed to have been verified by the issuing bank. From there on in, it’s simply a case of visiting the retailers who are part of the deal, putting items into a virtual basket, and using Apple Pay to pay for those items – a perfect little promotion for anyone who still has additional festive shopping to do.